Pre-recorded May 2011. Nitza interviews Jennifer of Livingstones Designs and discusses parallel applications of the spiritual and physical living stones, firing clay and the pendant diffusers that were designed and are available at www.RemnantRemedy.net. Nitza plans to continue the ReBUILDing the Living Stones Series on May 21, 2012. Due to a death in the family, she is taking time a 2nd month Pesach and Unleavened Bread allowed by Scripture. I hope you enjoy this Part 1 and Part 2 which will be posted next week as these two shows complement the ReBUILDing the Living Stones Series. Pre-recorded May 2011. Nitza continues the interview with Jennifer of Livingstones Designs and discusses parallel applications of the spiritual and physical living stones, firing clay and the pendant diffusers that were designed and are available at www.RemnantRemedy.net. NEW Crystal Stones and GLASS beaded pendants will be uploaded in the next week or two. 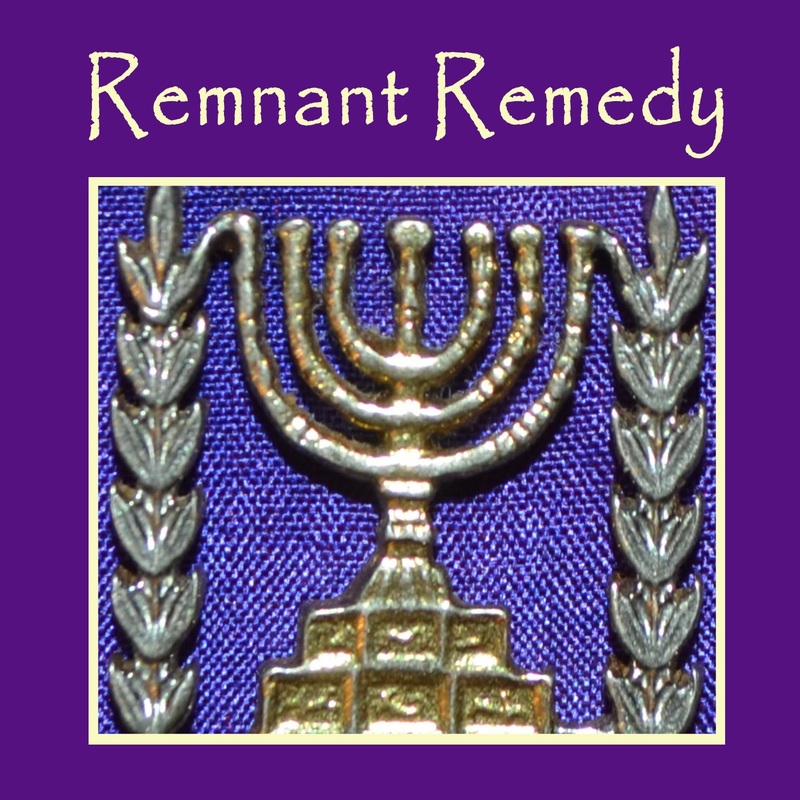 Be sure to register at Remnant Remedy to receive announcements, specials and newsletter. In Part 1 of REBUILDING THE LIVING STONES TABERNACLE series, Nitza begins to lay the foundation to understanding the ordinance (righteousness) of wearing linen for the Bride. Nitza shares what the Hebrew Alef Tav of Genesis 1:1, the movement/vibration of Genesis 1:2 over the waters, the light of Genesis 1:3, DNA, the Tesla coil, electricity, the human body, reflexology, SHeMeN (essential oils) and SHaySH (FLAX LINEN) and the Wilderness Mishkan/Tabernacle have in common. 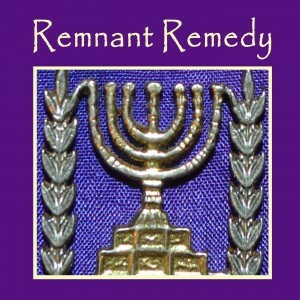 For more information on the properties of essential oils, linen, linen sheets, headbands, hand woven scarves, and linen thread and yarn, go to www.RemnantRemedy.net. In Part 2 of REBUILDING THE LIVING STONES TABERNACLE series, Nitza shares how Believers are Living Stones making up the BEIT OHR – the HOUSE of LIGHT. This foundational Scriptural truth is paramount to understanding the ordinance (righteousness) for the Bride to wear LINEN (Rev. 19:7-8). 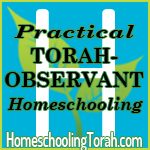 Learn the Scriptural definition of DAY (yom = light/ohr/order), EVENING (erev = MIXture/afternoon), and NIGHT (layil = darkness/chosek/chaos) and how these words apply to the life of a Torah Keeper in Covenant with the God of Abraham, Isaac and Jacob. Nitza shares the difference between how stones (ehben) CRY out with trembling vibrations vs. how Living Stones (mankind) CRY out to accost or meet with the YHWH who is the ROCK (tsur)! Stones (ehben) CRY out (zaw’ak) with trembling vibrations while the Living Stones (ben – children of YHWH) CRY out (QaRaw) to accost in order to have a MiQRaw (meeting of light) with the ROCK (tsur). YHWH created aura and piezoelectricity that makes quartz crystals keep time accurately due to their ability to change their shape by vibrating to and fro when electric (light/energy) is applied. To aid your Bible Study study, make a donation and request E-Sword that comes with KJV with Strong’s Concordance, Hebrew and Greek translations and the Ancient Hebrew Lexicon from http://awakenedchurch.com/. Psa 28:1-2 A Psalm of David. Unto thee will I CRY (KaRaW H7121), O LORD my ROCK (TSuR H6697); be not silent to me: lest, if thou be silent to me, I become like them that go down into the pit. Hear/SHeMaH (attend, consider, respond to what you hear) the voice of my supplications, when I cry (SHeVaH H7768 free from trouble) unto thee, when I lift up my hands toward thy holy oracle. Hab 2:11 For the STONE/ehben shall CRY out/TREMBLE H2199 of the wall, and the beam out of the timber shall ANSWER/respond H6030 it. Luk 19:39-40 And some of the Pharisees from among the multitude said unto him, Master, rebuke thy disciples. And he answered and said unto them, I tell you that, if these should hold their peace (if they are silent and don’t testify, act as if dead), the STONES would immediately CRY out (in distress to witness). Hab 2:19 Woe unto him that saith to the wood, Awake; to the dumb STONE/ehben. Arise, it shall teach! Behold, it is laid over with gold and silver, and there is no breath at all in the midst of it. For more information on the properties of essential oils, linen, linen sheets, headbands, hand woven scarves, and linen thread and yarn, go to http://remnantremedy.com. Nitza continues on the how the Living Stones (ben – children of YHWH) CRY out (QaRaw) to have a MiQRaw (meeting of light) with YHWH who is the ROCK (tsur). All things were created with vibrations or frequencies through the Alef Tav — the voice and WORD of YWWH and all things will be shaken (vibrated) again in order to rid the earth AND the heavens of all that is not of HIS Kingdom. Nitza also discusses that Yeshua is not coming back with a tattoo on His thigh as it would violate Torah. Gen 9:13 I do set my bow (QeSH – Pressed LIGHT, color spectrum rays – IRIS) in the cloud (ANaN – covering, watchful EYE), and it shall be for a token (OTh – sign) of a covenant between me and the earth. Gen 9:16 And the bow (pressed LIGHT/rays) shall be in the cloud (watchful EYE); and I will look upon it, that I may remember the everlasting covenant between Elohim and every living creature of all flesh that is upon the earth. Gen 9:17 And Elohim said unto Noah, This is the token of the covenant, which I have established between me and all flesh that is upon the earth. Luk 11:34 The light (LAMP reflecting light) of the body is the EYE: therefore when your EYE is single (CLEAR allowing LIGHT), your whole body also is full of LIGHT; but when thine eye is evil (thin or weak not allowing light), your body also is full of darkness. Mat 6:22-23 The LIGHT (lamp – luchnos) of the body is the EYE: if therefore your EYE be SINGLE (clear allowing light in), your whole body shall be full of LIGHT. But if your eye be EVIL (NOT allowing light in), your whole body shall be full of DARKNESS. If therefore the light (rays – phos) that is in you be darkness, how great is that darkness! Rev 19:16 And he hath on His vesture and on His thigh a NAME (authority/character) WRITTEN (describing Him as), KING OF KINGS, AND LORD OF LORDS. Lev 19:28 Ye shall not make any cuttings in your flesh for the dead, nor print any marks upon you: I am the LORD. 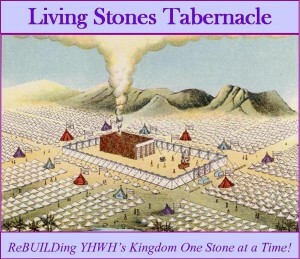 In Part 6, Nitza shares that those in covenant with YHWH really are LIVING STONES! Do the witnesses of Revelation wear linen sackcloth? Nitza describes the differences between fine twined (spun) LINEN vs. rough coarse tow LINEN used for making sack cloth. She shares a written historical excerpt by Booker T. Washington describing its torturous afflicting properties. Nitza believes that this coarse linen sack cloth is the garment to be worn by the Witnesses as described in the book of Revelations. Listen to Part 6 as to further explanation on why. White Linen is also the garment of the messengers (angels) in the book of Revelations who are pouring out the vials of the plagues. Is it possible that the desire to return to wearing linen is an unction by the RUACH for the Bride to prepare herself to endure coming plagues, bombardment of electromagnetic frequencies, biological, atomic and/or nuclear wars? Rev 15:6 And the seven angels/messengers came out of the temple, having the seven plagues, clothed in pure and white linen, and having their breasts girded with golden girdles. Linen is known for its anti-bacterial, anti-fungal and anti-viral properties. It is reported that LINEN REDUCES GAMMA RADIATION by nearly half and can aid to protect mankind against SOLAR RADIATION. Flax fibers from contaminated soils appear to not exhibit traces of radiation. Linen was the prescribed garment so that it would wick away sweat/moisture from the Cohen’s body while serving in the presence of YHWH and handling the Ark of the Covenant. If the Cohen did not obey, they would have been killed by electrocution or possible damaging electro-magnetic frequencies (Eze. 44:18). The book of Zechariah describes possible Atomic Nuclear War. If Day/Yom equals Light and Night/Layil equals Darkness – then what is the DAY of YHWH mean? Have you ever connected that the DAY of YHWH is the LIGHT or FIRE of YHWH? It will be a day of light – a consuming scorching fire or a refining fire depending on if you are faithful like Shadrach, Meshach and Abednego or those that repent not to give Him glory! Zep 1:8 And it shall come to pass in the YOM/DAY of the YHWH’s sacrifice, that I will punish the princes, and the king’s children, and all such as are clothed with strange (foreign, disastrous) apparel (garments). . . . Zep 1:14 The great YOM/day of the YHWH is near, it is near, and hasteth greatly, even the voice (kol, light, vibration, fire) of the day of the YHWH: the mighty man shall cry there bitterly. Nitza’s Reference Notes: 1) LINEN: From Flax Seed to Woven Cloth by Linda Heinrich, 2) LINEN: Hand Spinning and Weaving by Patricia Baines and 3) Today’s Technology in Bible Prophecy by Charles Miller available @ www.tip.org. Nitza continues on the benefits of sleeping on 100% Flax LINEN SHEETS and its properties. While the benefits, especially the charging frequency energy, of linen sheets are for everyone including those who are healthy and may just feel down or have an occasional cold and is a great refresher offering a good night’s sleep; EVEN MORE SO — 100% linen flax linen sheets may be especially beneficial for those who are paralyzed, immobile or bed ridden for any length of time. Young and old alike who are recovering from illness, surgery or are on long-term bed rest will want to know the benefits of linen sheets. Even an expecting mother assigned to the bed due to a complicated pregnancy and her preemie/newborn baby, who has enough to overcome to catch up with the world around him, may benefit from being surrounded with LINEN sheets. Linen sheets, curtains, head bands/coverings, scarves, and garments are all beneficial to filter out airborne particles from the skin, while reducing static, yet, providing heat and cooling properties. Listen to this podcast and check out the article WHY 100% FLAX LINEN SHEETS?! for more information and how you can get a FREE spool of 100% Flax Linen sewing thread. After all, you spend 6 – 12 hours a day in bed – and that could be on 100% flax LINEN SHEETS sewn with 100% cotton or linen thread!